While Parkinson’s disease is often characterized by tremors and other mobility issues, some symptoms of the disease are all together unrelated to motor skills and might even be less visible. One of the earliest signs of Parkinson’s is sometimes REM behavior disorder, a sleep disorder in which the sleeping person physically acts out disturbing and violent dreams. Those with the disease also experience sleep disturbances such as insomnia. Both Parkinson’s and depression are linked to a lack of dopamine, a chemical in the brain that helps regulate mood. Those with Parkinson’s may experience severe mood swings, and many people are also diagnosed with clinical depression. Fear and anxiety are also common side effects of PD. 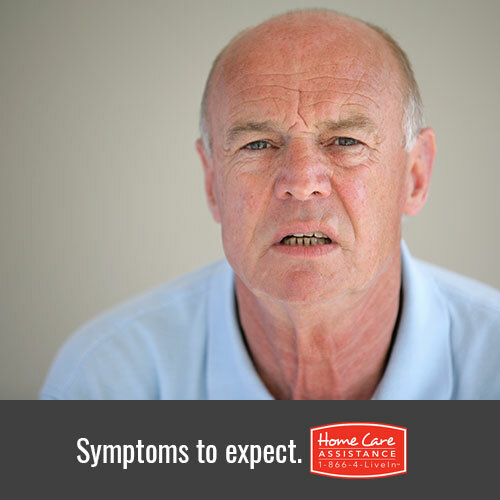 Some seniors with Parkinson’s develop chronic constipation, while others will experience urinary incontinence and other bladder related side effects. Sexual dysfunction is also a common complaint for those with Parkinson’s. While memory loss and confusion are often associated with Alzheimer’s disease, they can also result from Parkinson’s. Your loved one may experience slowed thinking, difficulty remembering, and even dementia. Seniors who experience cognitive symptoms often benefit from in-home Parkinson’s care in Harrisburg. Those with Parkinson’s often experience appetite changes that can cause rapid weight gain or loss. In addition, these changes are often side effects to the various medications prescribed to control Parkinson’s symptoms. It is believed that one of the earliest signs of this disease is a diminished sense of smell. People with Parkinson’s also tend to experience vision problems and have difficulty seeing. If your senior loved one has Parkinson’s, talk with his or her doctor about ways to control troublesome symptoms he or she is experiencing. You can also learn more about Harrisburg senior home care options by calling Home Care Assistance at (717) 540-4663. A trusted Care Manager can schedule a free in-home consultation to discuss our flexible care plans, you can meet us face-to-face, and you’ll learn more about the positive difference in-home care can make for your senior loved one.